A busy family of three wakes up to a crisp Spring morning and is ready to enjoy Saturday cartoons, skimming the morning newspaper, cooking delicious chocolate chip pancakes while seeing the flame of the fireplace. Sounds perfect, right? Until we understand the family can’t enjoy all these activities together as a family because of their undesirable, small kitchen design. 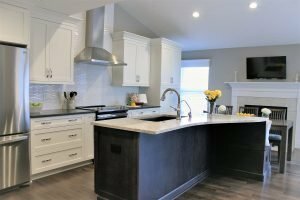 Enter Amanda Listak, Designer of ACo to solve this family’s problems and create a functional setting for future Saturday morning family breakfasts, dinner parties and so much more! “The new focal point became the range wall. We removed a header and repositioned the range. 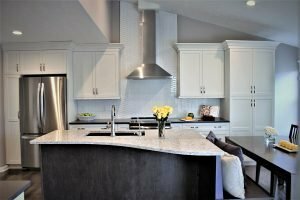 We installed a stainless hood with a nearly 5′ chimney and ran the backsplash tile to the vaulted ceiling!” explained Listak. 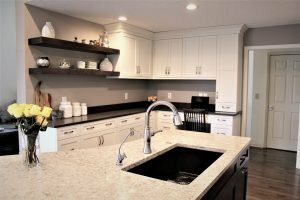 If this beautiful kitchen renovation sparks an interest in your own kitchen spruce up, visit the ACo website at https://liveaco.com or give them a call to schedule your appointment at 317.575.9540. 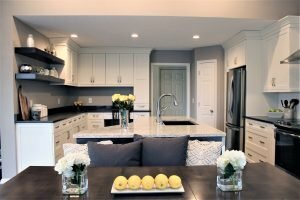 ACo helps homeowners overcome the overwhelming and love where they live by creating luxurious spaces that connect families, rejuvenate individuals, and make their families proud.